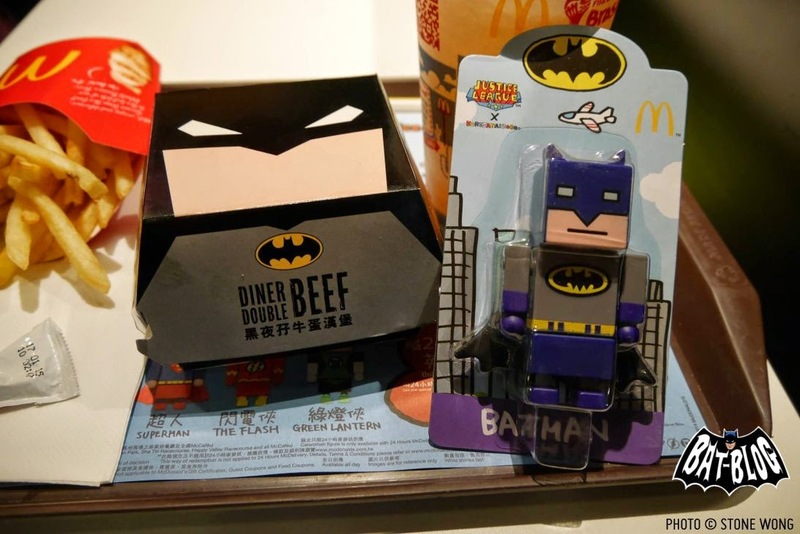 BAT - BLOG : BATMAN TOYS and COLLECTIBLES: New McDonald's BATMAN BAT-BURGER in HONG KONG Now Has a #BATMAN TOY FIGURE! New McDonald's BATMAN BAT-BURGER in HONG KONG Now Has a #BATMAN TOY FIGURE! OK, Here's some breaking news and I think the BAT-BLOG got the scoop on this! 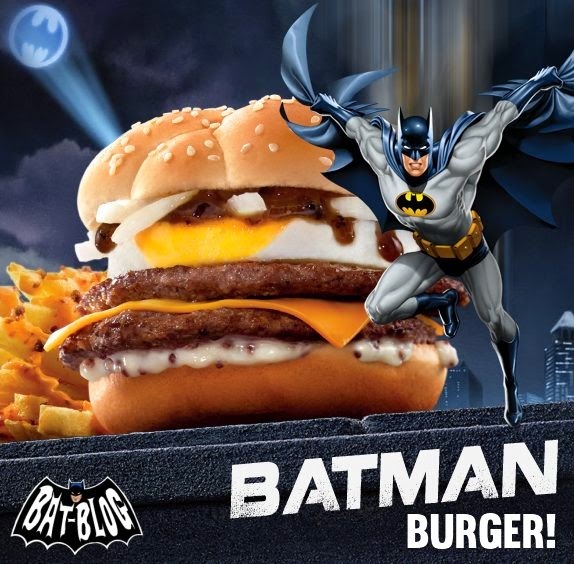 We all know about the major-crazy hype and publicity that the HONG KONG McDonald's BATMAN BURGER has been getting. The story is everywhere, even main-stream media, ha! But... here's the kicker! They are also offering these "DC Comics' Justice League" Figures!! Yes, there is a Batman TOY!! A special THANK YOU has to go out to our friend "Stone Wong" who lives in Hong Kong and shared this wonderful photo with us. Thanks Dude, this toy is so cool!